The difference between fresh and dried dill weed is like night and day. Use fresh for the most intense flavor. If you must use dried, use generously. Here are the most important dill cooking tips and hints. 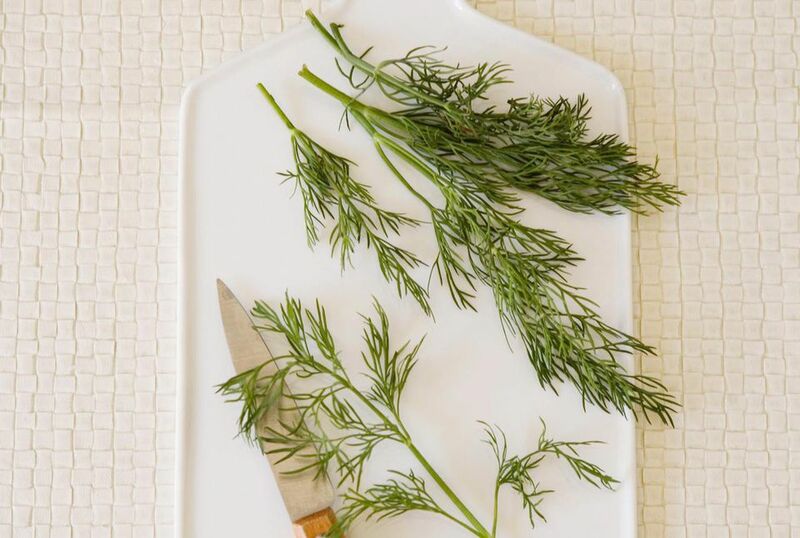 1 tablespoon chopped fresh dill is the equivalent of 1 teaspoon dried dill weed. 1/2 ounce fresh dill yields about 1/2 cup leaves. The flavor of dill weed diminishes greatly the longer it is cooked. Add it at the last minute for full flavor and aroma. Conversely, heating brings out the aroma and flavor of dill seed, which is why recipes commonly call for the seed to be toasted in a hot frypan before using. For general pickling: Add 1-1/2 teaspoons dill seed per 1 quart of pickling liquid. Dill seeds taste like a mild version of caraway and can be substituted for caraway in bread on a one to one ratio. Quick dill butter: Add 1/4 cup minced fresh dill weed to 1/2 cup softened butter. Mix well, cover and refrigerate at least 2 hours before using to let flavors blend. Use with broiled seafood or as a spread for savory bread. Dill weed pairs particularly well with all types of seafood. It is also good with, spreads, sour cream, cream cheese, lamb, and many.